We had another great year reviewing many fabulous books from Master Books. Being part of the Moms of Master Books team is a huge blessing for our family. Every month we get to review one of newest Master Books resources and be part of the monthly Twitter or Facebook parties. This month due to the busy holiday season there is not a review or party but...I do have our top 5 favorite books from Master Books for 2013 and links to our past reviews. 1) Children's Atlas of God's World: This one made the top 5 because of it's usefulness in our homeschool. I am a huge fan of Craig Froman. His geography resources are beautifully illustrated and filled with lots of fabulous information. They are truly a must have for any homeschool bookshelf. 2) Tower of Babel: This book made our top 5 list because of how unique it is. This book is a super fun pop up book about one of my favorite Bible stories "The Tower of Babel." The book has beautiful illustrations and a pop up tower that rises right before your eyes. 3) Big Book Earth and Sky: Explore the earth and sky in this 21 panel fold out book which not only gets 5 starts but also makes our top 5 list. This book is loaded with amazing information and was a great addition to our science lessons. 4) Chronicles of Dinosauria: This book was Rowyn's top favorite. This beautifully illustrated book is loaded with great facts about the history and mystery of Dinosaurs and Man. The kids were captivated by the illustrations and could not wait to turn the page to learn more. 5) Made in Heaven: This book was Gwyn's top favorite. Gwyn is fascinated with science. She loves exploring nature and is always full of "why?" questions. Made in Heaven is loaded with amazing scientific facts and information about many of things we come in contact with and use everyday. The book discusses things that are manufactured by man like Velcro, painless needles, Kevlar, air conditioning, etc and explains how all of these IDEAS came from God's amazing designs in nature. 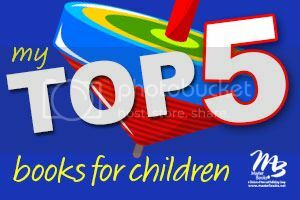 Be sure to visit the link up on the New Leaf Publishing Blog to see what some of the other Moms of Master Books top 5 choices were!! !